We study the fluid mechanics of pathogen spread via raindrop impacts on plant surfaces. 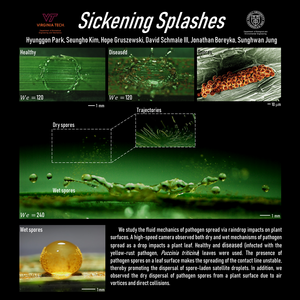 A high-speed camera observed both dry and wet mechanisms of pathogen spread as a drop impacts a plant leaf. Healthy and diseased (infected with the yellow-rust pathogen, Puccinia triticina) leaves were used. 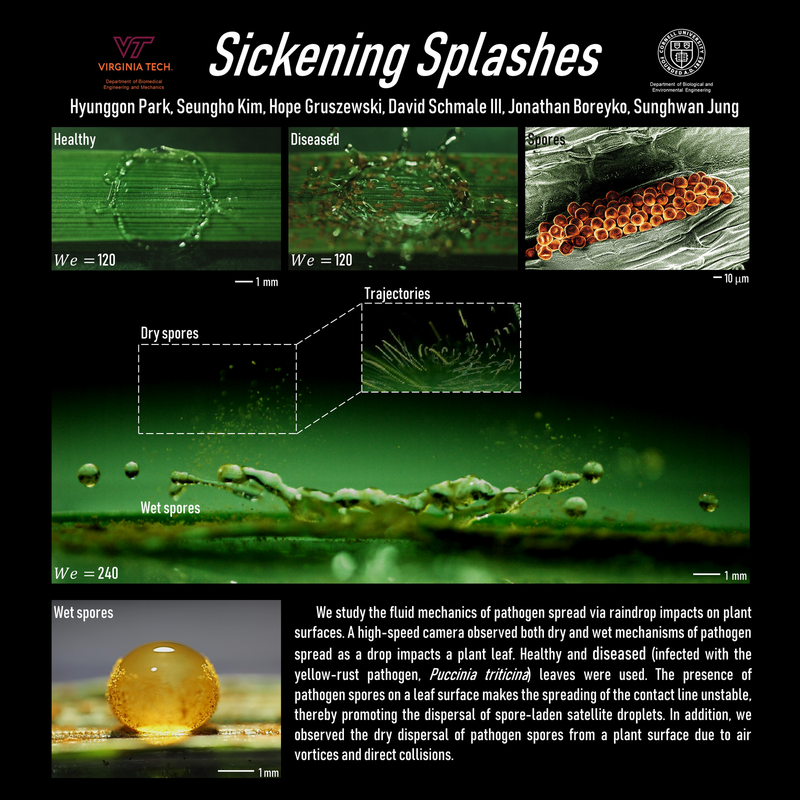 The presence of pathogen spores on a leaf surface makes the spreading of the contact line unstable, thereby promoting the dispersal of spore-laden satellite droplets. In addition, we observed the dry dispersal of pathogen spores from a plant surface due to air vortices and direct collisions.